Toni Jumper, the owner of Fleet Feet Columbia, is also on the Board of Friends of Harbison State Forest. Harbison State Forest is the largest urban green space in the Southeast. Friends of Harbison State Forest is a non-profit organization founded to preserve and promote the recreational and educational aspects of this urban forest resource. Our initial emphasis is planning, designing and building sustainable new trails while maintaining and upgrading the current trail system. Harbison State Forest encompasses 2,200 acres of woodland located along the banks of the Broad River approximately 8 miles from downtown Columbia, South Carolina. This land was part of that purchased during the Great Depression in the late 1920's by the Board of Ministries of the Presbyterian Church USA. The tract included 6,000-7,000 acres of what was then farmland. Terraces and fences from the old farms are still visible. The land was purchased to be used in a missionary effort to help ex-slaves and tenant farmers. The original plan was to sell these families 40 acres and a mule for $10 so they could set up homesteads. In the 1950's, the South Carolina Forestry Commission bought 2,200 acres from the Presbyterian Church for $10.00 an acre. One of the main benefactors for the church's purchase was a man from Pittsburgh, PA named Samuel P. Harbison and, to honor his generosity, it was stipulated at the time of sale that the land be named "Harbison Forest". The State also bought additional land which is being used for the Correctional facility nearby. 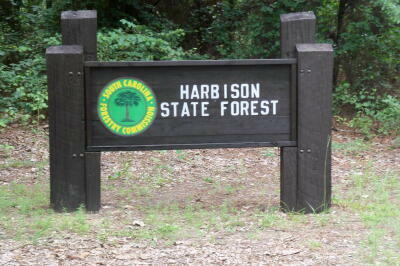 Today Harbison State Forest is managed by the Forestry Commission as a urban public green space. In the forest there are approximately 67 species of trees. The forest mix is roughly forty percent loblolly and shortleaf pine, forty percent natural longleaf pine, twenty percent bottomland flood plain hardwoods. Long ago all of Columbia used to be forest, just like this. The area provides wonderful opportunities to study watersheds, food chains and forest management. Educational events and resources are available for teachers and scout leaders. 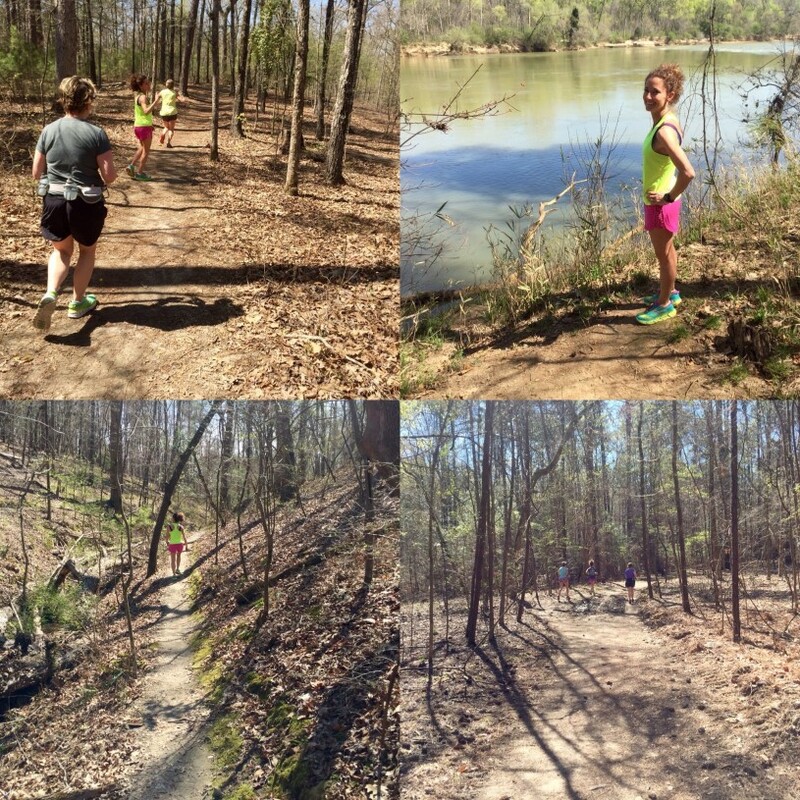 More than twenty miles of trails are designed for walking, jogging, hiking, and biking and range from moderately easy to very difficult. A canoe landing provides entry to the Broad River for kayaks and canoes. To use this access point, you need to complete a float plan and drop it off at the Educational Center before entering the river.